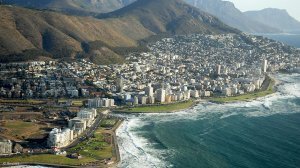 The easing of the stringent water restrictions will restore international confidence in Cape Town as a destination for tourism and investment, say business leaders. But it will take hard work getting the message out there. Tim Harris, CEO of Wesgro, the agency that promotes tourism, trade and investment in Cape Town and the Western Cape, described the lowering of the stringent water restrictions as an important step forward in re-establishing trust and confidence in Cape Town as a destination for business and tourism. "We will continue to work hard to get Cape Town and the Western Cape back on travellers' consideration lists with positive, collaborative marketing efforts," Harris said. The lower water price that is to go with the lowering of restrictions on October 1 would be a great help for struggling businesses, particularly those who used water as a key input, Harris said. The move was especially welcome during this period of reduced national economic growth. "We urge companies to continue to use water wisely and to continue the great efforts in building water resilience." Harris said having a water-resilient city and province was essential to ensure future investment and growth. The water restrictions have been lowered for commercial and industrial consumers from a 45% reduction to a 40% reduction. Commercial and industrial water tariffs have come down 18% from R45.75 a kilolitre to R37.50 a kilolitre. The City has increased personal water use from 50 litres a person a day to 70 litres. Janine Myburgh, president of the Cape Chamber of Commerce and Industry, said what was needed now was to get the message out internationally to revive tourism and the film industry. "Unfortunately, the drought and the Day Zero story made people look elsewhere for holiday destinations and filming locations. They may have liked the alternatives so we will have to fight hard to get the business back," Myburgh said. The chamber thought it unlikely that the easing of the water restrictions would result in Cape Town businesses or residents returning to former high levels of water consumption. "Businesses and residents have learned to reduce water use and they have invested in water-saving devices, tanks and other measures. All this puts us in a much better position to cope with dry years in the future. This is the message we need to get out into the world," Myburgh said. University of Cape Town academic Kevin Winter, who heads the university's Water Task Team, believes the easing of restrictions will also send out a message internationally that the City had got to grips with managing its water supplies, despite below-average rainfall this winter. "The message it sends is that we have water now, it is safe to invest here, it is safe to travel here. Yes, water supplies are constrained, but the easing of the restrictions show water is better managed and it is safe to come back to Cape Town," Winter said. Winter added when he travelled internationally, the question often arose about the City of Cape Town's water governance. "Talking to engineers, scientists and others in water governance, I find they don't buy it as easily as we spin it. They say yes, they can accept and understand rainfall variability, but very quickly they get into a conversation about governance, about water management. "No doubt everyone overseas admires the turnaround in the water situation, but they ask questions about mismanagement, about how we had been abusive of water in 2015 and the drought years." On Wednesday, the combined level of Cape Town's dams was 69.4% of storage capacity. Theewaterskloof dam, by far the largest of the six dams, broke through the halfway mark to 51.8% of capacity. Winter believed it was right of the City to lower water restrictions as the dams filled up. "I think the City is being responsible, both to ease stress locally, and to say to the people of Holland, Germany and elsewhere, it is now okay to come here." Winter said UCT partnered with overseas universities who sent some of their students here. This brought as much as R90-million in funding to UCT. However, there had been a marked drop in numbers, and Winter believes the water situation played a part in the lower international student numbers, along with student politics. "The numbers are certainly nowhere near what we've seen before." Winter believes that there is no reason to fear that the easing of restrictions would lead people to waste water. "Let's test it out. We've got enough water to get us through the summer to 2019, to the next rainy season, and we've got numbers that the public can see every day. And if at the end of October we see overusage, we can go back." Environmentalist Patrick Dowling, whose household of four have reduced their water consumption to six kilolitres a month, believes many may interpret the easing of water restrictions as a signal to go back to their bad old ways. As part of the easing of restrictions, the City has set a new overall water usage target of 500-million litres (Ml) a day from October 1, in place of the current 450-million litres a day. Dowling points out that Cape Town consumers have never once met the 450-million litre a day target. Cape Town's weekly consumption has been consistently more than 500-million litres a day, except for the weeks of May 7 (492Ml); June 2 (481Ml) July 16 (494Ml) and July 30 (498Ml). Last week's consumption was 526Ml a day. "It's a bad idea. As I understand it, there was a lot of lobbying of the City by the hospitality industry, from business and industry, to ease the water restrictions. And of course the City has its own concerns about loss of revenue from lower water sales. "The climate change science is saying there is a general trend to a hotter, drier Cape Town and province, and that we could go down from an average of 600mm of rain a year to 350mm. So the precautionary principle should be applied. Yes, thanks for the rain, but also take note that this winter's rainfall has not been phenomenal at all," Dowling said. Those people who had invested in rainwater tanks, greywater systems and boreholes, would continue to use these, and so would not go back to their high consumption. "But for the rest, will they really still take short showers, and flush with grey water?" Taryn Pereira of the Environmental Monitoring Group believes the easing of restrictions was a good move. She said 70 litres a person a day was still a strict measure. "It would have been a real lack of trust in the City if there were no easing up," Pereira said.